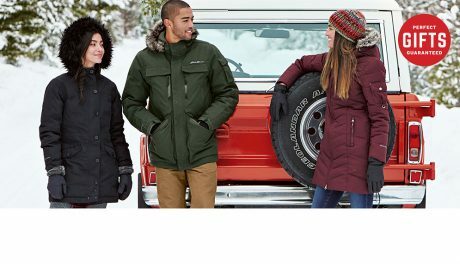 Women's Sun Valley Down Duffle Coat $149.50 after code (reg. $299). Women's Quest 1/4-Zip Pullover $25 after code (reg. $50). Men's Cirruslite Down Jacket $49.99 after code (reg. $99). Men's Quest 1/4-Zip Pullover $24.99 (reg. $50).